FREE Samples: Vanier Engineered Hardwood - Floatwood Collection Piano Tone / Brazilian Cherry / Smooth / Premier Grade / 5"
Introduce a beautiful exotic look to your interior design project with the Vanier Engineered Hardwood Floatwood Collection. 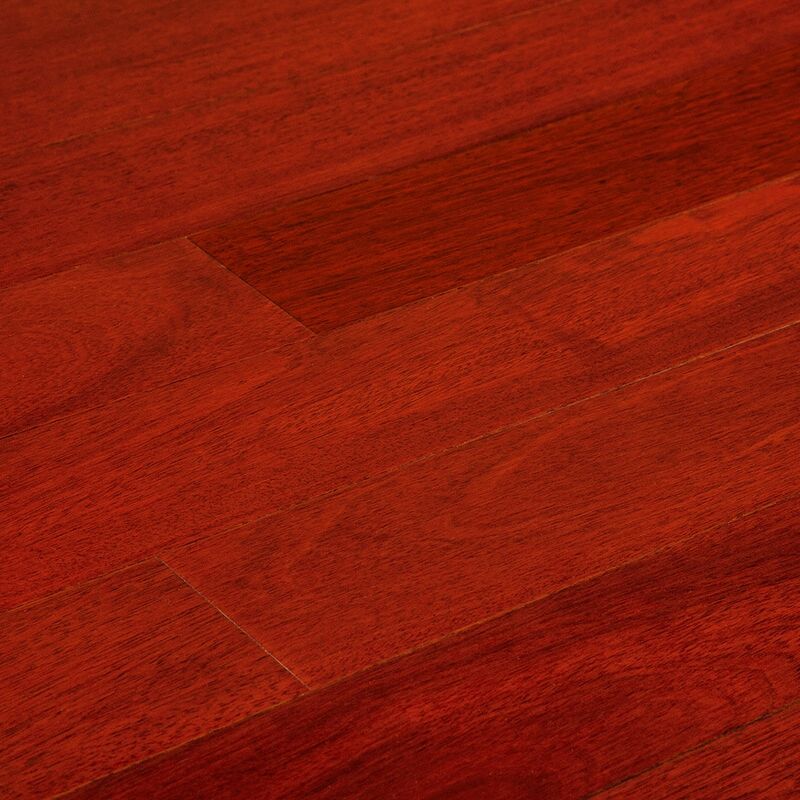 This stunning Brazilian Cherry flooring (also called Jatoba), provides unique color variations and character. Along with a beautiful design, this flooring has the enhanced robustness and innovative qualities of engineered hardwood flooring. With BuildDirect’s manufacturer-direct prices, you can achieve this all for less. Learn more about this flooring below. 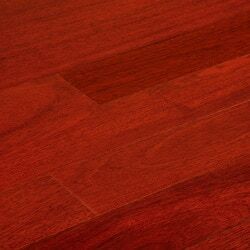 Elegant tropical flooring: known for its orange-reddish coloring and darker gray streaks, Brazilian Cherry features typically interlocking grain patterns. This flooring has a truly striking appearance. Smooth surface texture: these engineered floorboards are finished smooth for a sleek and sophisticated appearance that will compliment both modern and contemporary decors. Quality craftsmanship: expertly milled for tight fitting installations, these engineered planks have tongue and groove edges that lock together smoothly. Install these boards using a floating, nail, glue, or staple down method - the choice is yours. Convenient edges: this product is designed with micro-bevel edges, which allow for straightforward installations on leveled surfaces that are prone to small imperfections, or installation in older homes. Core value: for enduring durability and stability, these engineered floor boards are designed with a sturdy multiply core. Beneficial finish type: this engineered hardwood has a UV Cured Oil finish that gives the wood a soft natural appearance. This finish’s low gloss appearance also shows less dirt and fewer scratches, making it easier to keep the planks looking new. Purchase with confidence: Jasper backs this quality engineered hardwood flooring with a 25-year finish warranty and a lifetime structural warranty for residential installations. A 5-year commercial warranty is also offered. Plank dimensions: with a 3mm wear layer, these boards measure 0.56” Thick x 5” Wide x 30” Average length. I love the color . There are many ways to install that make me very confident and happier.